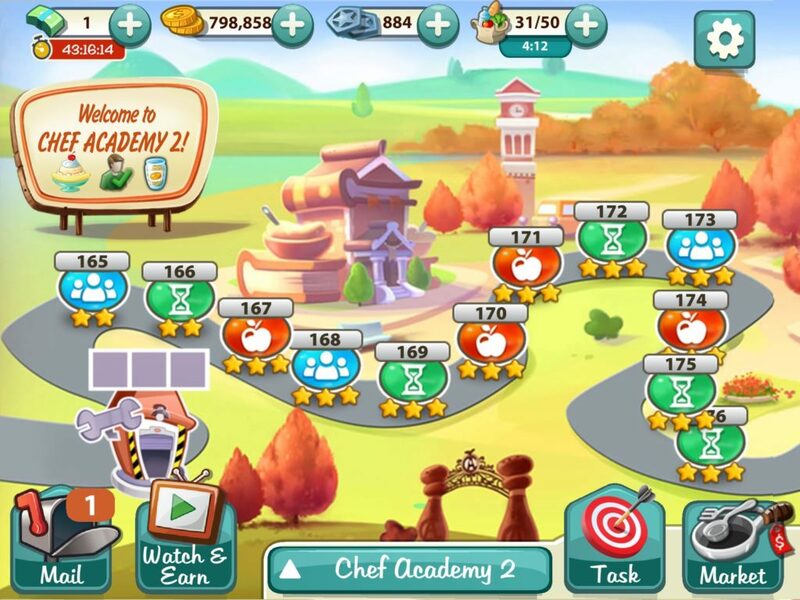 Chef Academy 2 is the eighth town in the Kitchen Scramble game. The story line in the game indicates that this is supposed to be the same town as Chef Academy. But, they don’t look the same. I guess the school had some renovations done while the main character was gone, because things aren’t quite in the same place as before. The cool thing is that the Chef Academy trees are green, but the Chef Academy 2 trees are orange. Time has passed. 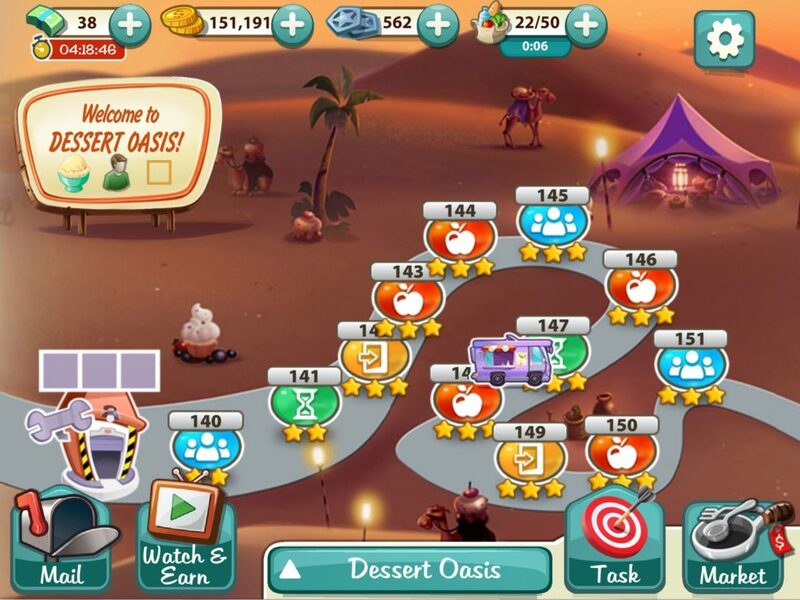 Dessert Oasis is the seventh town in the Kitchen Scramble game. In this town, all of the customers want desserts. Most of the desserts include sugar, but there are also some options that have fresh fruit in them. Throughout the game, there has been an emphasis on choosing healthy foods. Kitchen Scramble is a time-management game where players need to learn the recipes that each town requires, make those recipes, and serve them to the customers before they get angry and leave. It’s not easy. Some of the recipes in Dessert Oasis require the use of two or more appliances. 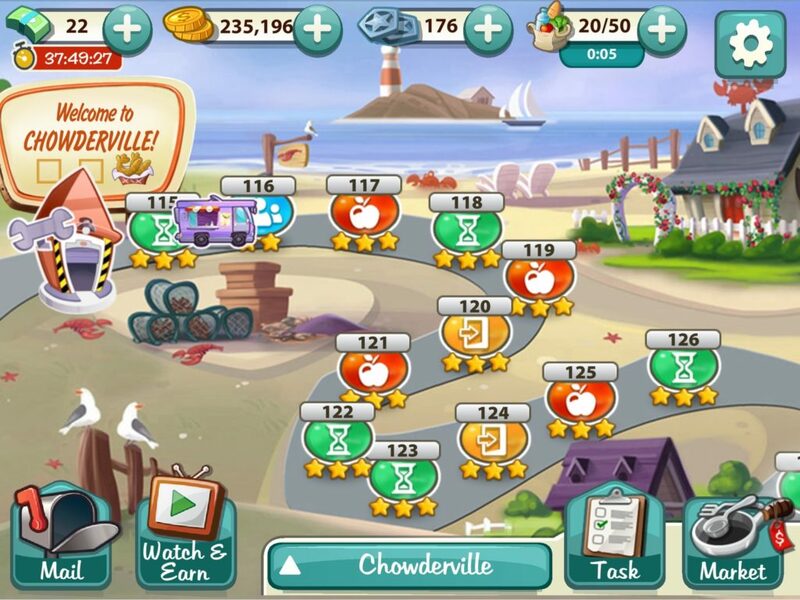 Chowderville is the sixth town in the Kitchen Scramble game. The recipes a player must learn include several seafood recipes. The goal is to serve the food to the customers before they get really angry and leave. Kitchen Scramble is a time-management game. Most of the recipes require two or more ingredients. Players have to figure out which customer to serve first. Previously, this calculation involved figuring out what appliances were currently not in use, and guessing about which customers were the most likely to get angry the fastest. In Chowderville, players are introduced to an extremely short-tempered character who makes the game more difficult. 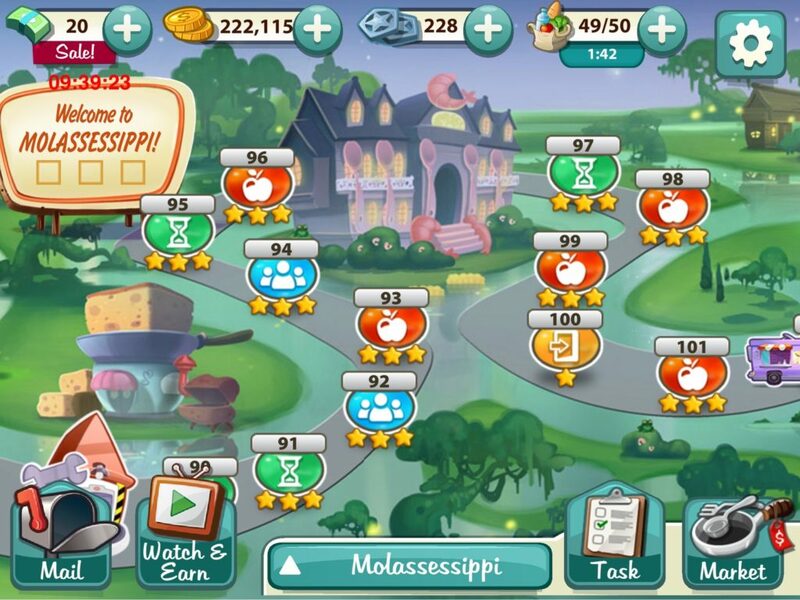 Molassessippi is the fifth town in the Kitchen Scramble game. 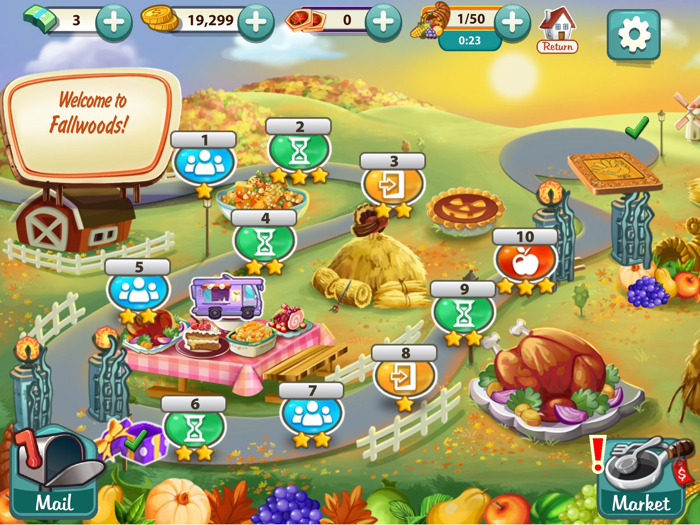 It is a time-management game where players need to make recipes and serve food to customers. Ideally, you are able to get the food to them before they get too grumpy and go away. I have a ton of food allergies, and it amuses me to play around with virtual food. In Molassessippi, players learn how to make recipes like Barbecue Chicken and Sweet Potato pie. 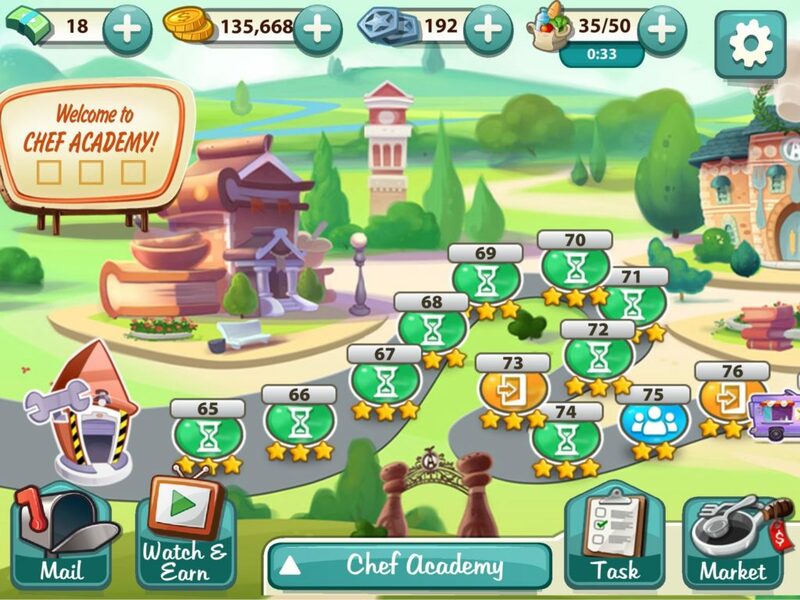 Chef Academy is the name of the fourth town in the Kitchen Scramble game. 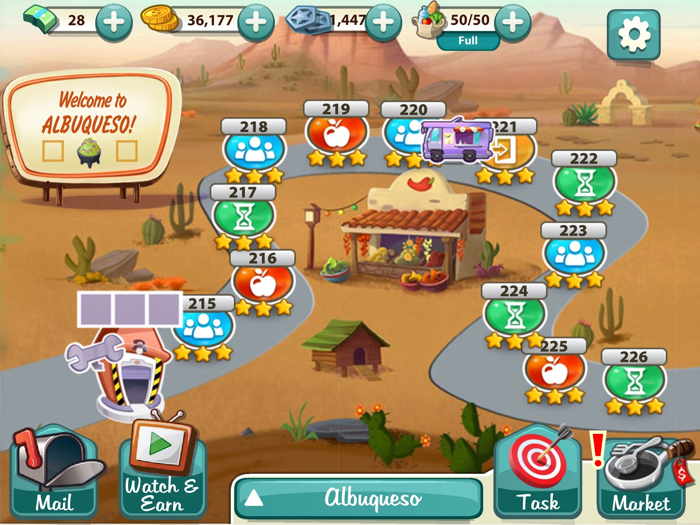 The game requires the player to make recipes and serve food to customers. 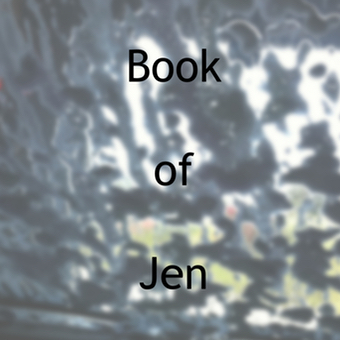 It is a time-management game. I’ve been posting quite a few blogs about Kitchen Scramble lately. There is a reason. 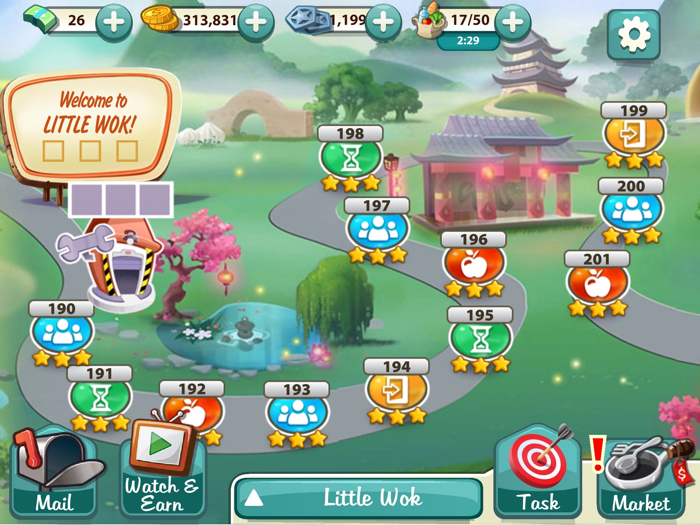 I’ve noticed that the Kitchen Scramble app has been crashing a lot, and that there has been an increased emphasis on the ways players can spend real-world money on the game. I’m not sure how long it will be around. Kitchen Scramble is a time-management game where you play a character that runs a food truck. Every level requires players to make and serve specific foods to customers. In Mozzaroma, the customers want Italian foods. 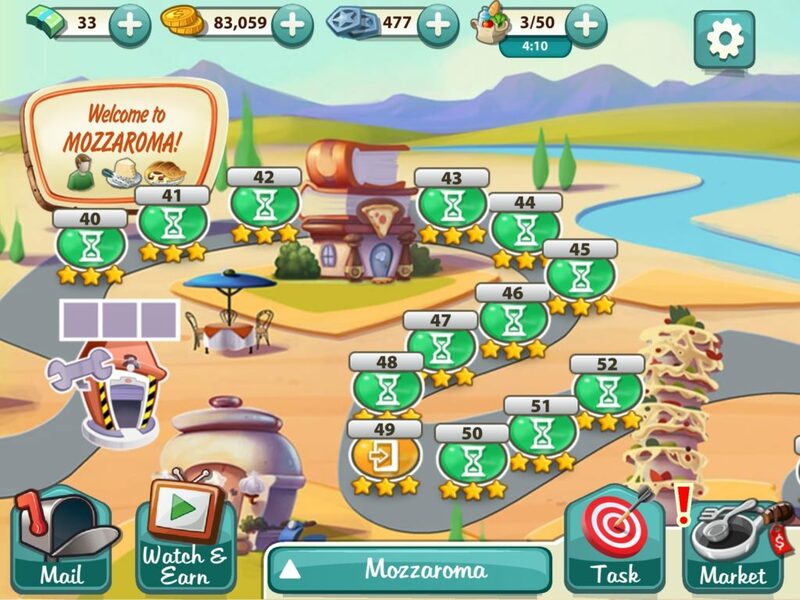 Mozzaroma is the third town in the Kitchen Scramble game. I like to try and get three stars on every level. Kitchen Scramble is a time-management game that started out on a website, then got sold to a different gaming company, and reemerged as an app. I have a tendency to play this game a lot for a while, and then drop it and move on to something else. There is something about video games with digital food that I find fun. Maybe it’s because I’ve got a ton of food allergies, and in-game food is safe to play around with. 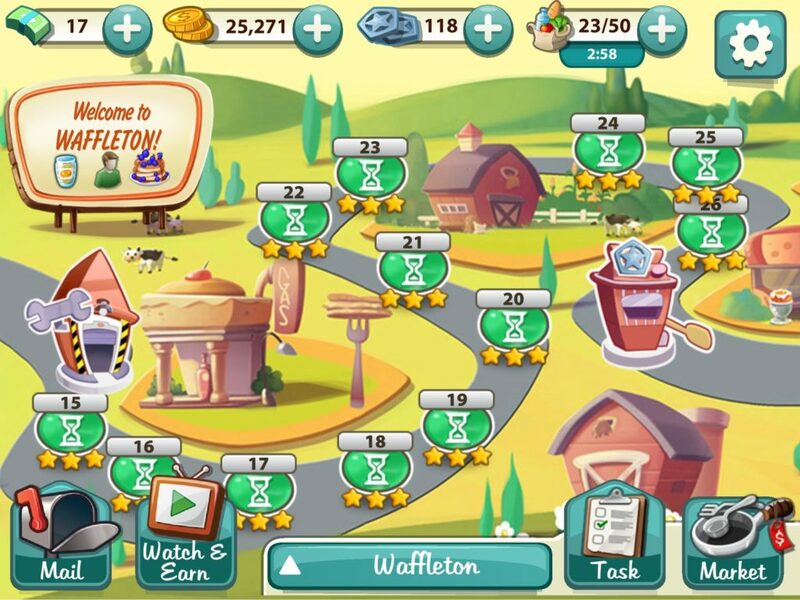 The second town in the game is called Waffleton. It requires players to make breakfast foods for customers, including plenty of waffles.